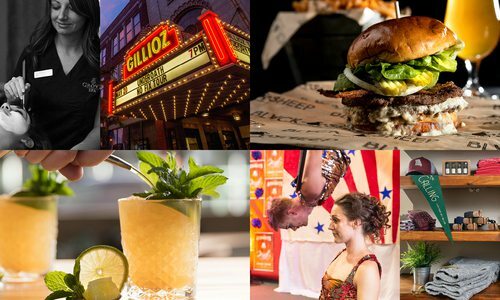 This is our guide to the best things to do, shows to see, places to visit and experiences to have in southwest Missouri, as decided by our readers. Take a hike, see tigers by twilight, experience interactive art, ride a ferris wheel—there's plenty to do! Editors' Picks By Katie Pollock Estes, Rose Marthis, Claire Porter, Vivian Wheeler | Readers' Choice Awards Edited By Rose Marthis | Art Direction By Fried Design Co. BEHOLD, THE 2019 PLACES & EXPERIENCES WINNERS OF OUR NEW AND IMPROVED BEST OF 417 CONTEST, COMPLETE WITH EDITORS' PICKS. 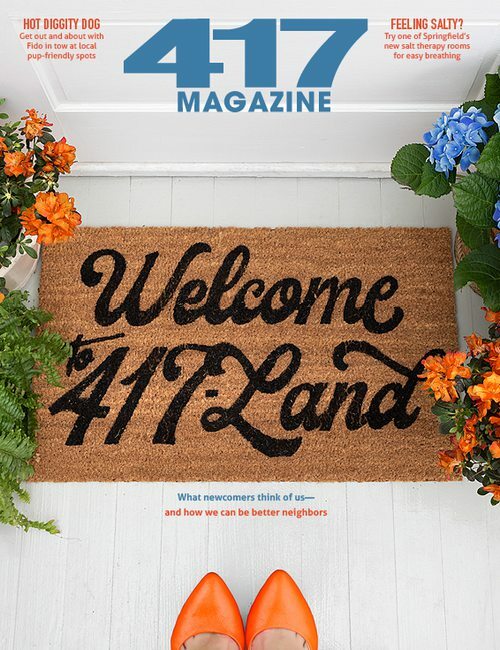 Each year, 417 Magazine brings you Best of 417, featuring all the amazing things about southwest Missouri. This year, our editors did a lot of the groundwork for you by creating a curated ballot. 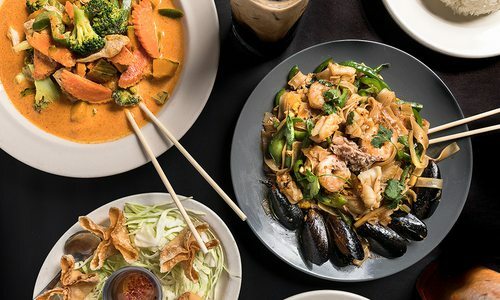 You, our readers, selected your top picks or write-ins, and your local faves with the most votes made it to this list. Do you ever feel like you’re tumbling downhill at breakneck speed, with no control and just barely catching your breath? Great! Then your chaotic life has provided you plenty of practice for a spin down the slick, snow-white turf at Snowflex Park at Wolfe Mountain. 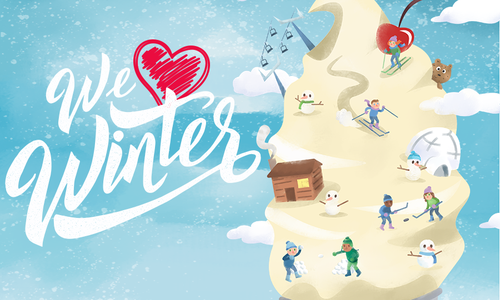 Only at the Snowflex Park, the tumble to the bottom is way more fun. 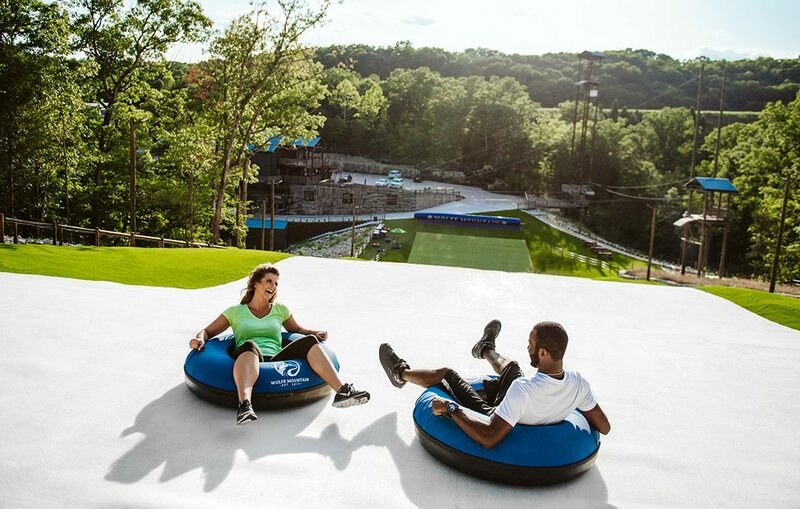 A people-mover carries you and a cushy inner tube up the hillside where staff launch you down a 400-foot synthetic tubing run that’s spritzed with just enough water to keep you gliding but not enough to make you uncomfortable. Pro tip: Ask them to spin you when you launch. It’s like two rides in one, and we couldn’t stop laughing the whole way down. A trip through National Tiger Sanctuary is a fascinating experience no matter what time of day you visit. It is home to numerous big cats and other exotic animals who live out their days comfortably surrounded by the rolling Ozarks hills. Guided tours led by knowledgeable staff teach all about the animals’ sometimes-dramatic back stories and about big cats in general. There are several tour options (and on some tours, you can even help feed the animals! ), but we are most enchanted by Tigers by Twilight. There you watch majestic animals in action by the light of the moon. Think you’ll spot a set of glowing eyes? You could! Or you might be treated to a concert in the form of the deep, rumbling caroling of the sanctuary’s lions. Sometimes the best things in life are the things you didn’t even know you needed. Branson Ferris Wheel at The Track is one of those things. As soon as that historically charming (and honestly gigantic) ride was moved from Chicago’s Navy Pier and plunked down on the Branson strip, everyone in the region realized this skyline-enhancing, view-providing leisure lift was just what we had always wanted. A ride to the 150-foot-tall peak is lovely, with the city and rolling hills beyond spreading out in front of you. You’ll be sitting pretty in one of 40 gondolas and surrounded by 16,000 LED lights. Even if you don’t have plans to ride, you can drive by in the evening and tune your radio to 90.9 FM to enjoy a lovely light show. Photo by Aaron J. Scott Photography99x at Springfield Art Museum, winner of Best Interactive Art. Living art tableaux by Heather Kane. We love a good party, and 99x at Springfield Art Museum impresses us every time. A group of local artists is each asked to create a living art tableau representing a theme. 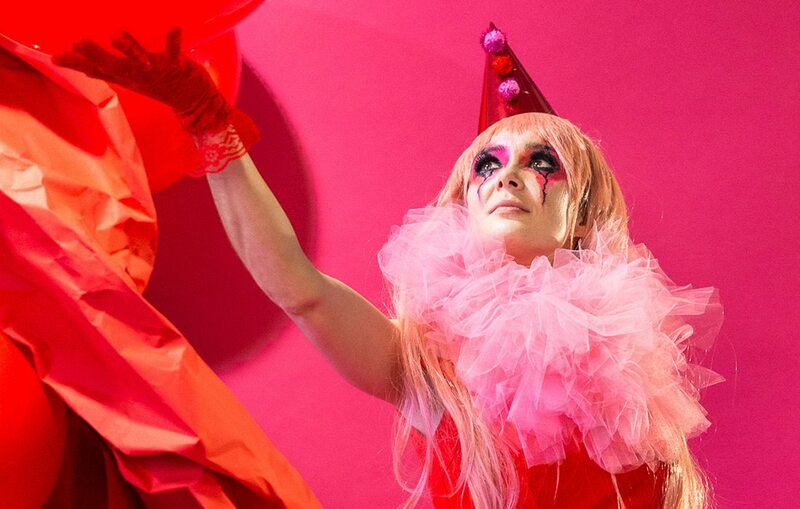 Last September’s party, 99x Cirque Americana, had artists creating thoughtful, interesting and beautiful takes on the strong man, acrobats, knife-throwers and more. Guests view and often interact with the tableaus, putting them right in the middle of the art. Oh and there is also food, drinks, music and an all-around fun and creatively inspiring atmosphere. Other past themes have included Gilded Coast Glamour, Bohemian Belle and Box of Ghosts. Funds raised at 99x benefit Springfield Art Museum’s Conservation & Preservation Fund, so the priceless art we all enjoy at the museum can stay in tip-top shape. The new thing to do with your Friday night is hurl a hatchet at a target—and sometimes there’s alcohol involved. It’s a fun energy-releasing night out with friends, but we confess we’re a little scared of the flying blades. Regardless of your level of bravery, though, the activity has definitely exploded. In just the past year, at least four axe-throwing joints have opened up shop in southwest Missouri. There’s TommyHawks and Craft Axe Throwing in Springfield. Branson has The Axe Game, and Joplin has Main Street Axe Company. History Museum on the Square has been open since 1976, but this year it gets a major facelift in the form of a $12 million, 18,000-square-foot expansion. The expansion is a project 10 years in the making, and we are just dying to see the museum’s shiny new interactive digs! The new space includes new permanent exhibits and a snazzy new gallery for traveling exhibits and special events. The Native Crossroads at Spring exhibit is dedicated to the area’s Native American history, including passage of the Trail of Tears through Springfield. Trains, Trolleys and Transportation focuses on children’s education and includes a huge Frisco train emerging from the wall and a trolley time machine. Other exhibits include Pioneers and Founders of the Crossroads, The Civil War in Springfield, Wild Bill Hickok and the American West (which includes an immersive shootout chamber that puts you right there on the square with Wild Bill) and the already popular Birthplace of Route 66. Most of the time, we love the Mizumoto Japanese Stroll Garden the most when we have it mostly to ourselves. The gently curving sidewalks, stippled sunlight and babbling water features are magical when enjoyed without too much background noise. But the biggest exception to that is the Japanese Fall Festival, which takes place every September. The energy is pure joy, as we welcome fall with a bit of cultural fun. 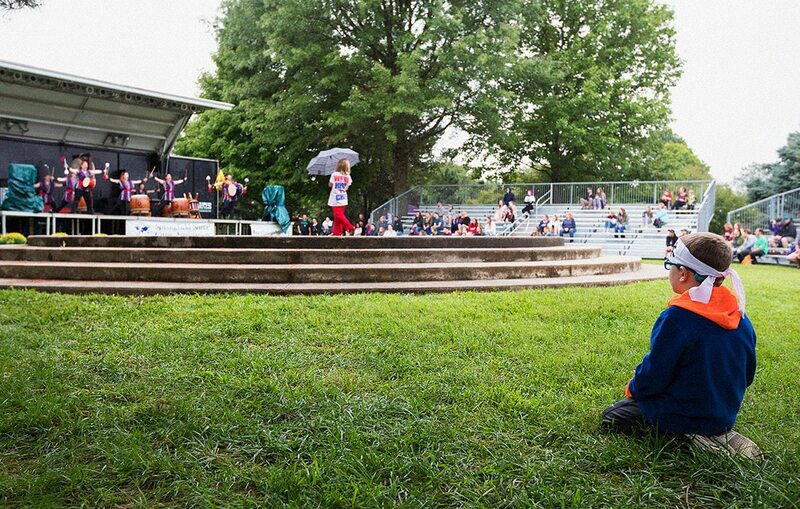 Past festivals have featured Japanese folk dancers, ensemble drummers, storytellers, top spinners, tasty snacks and so much more—all in a dreamy setting. There is plenty of reason to be excited about a new era of Missouri State basketball. With new head coach Dana Ford at the helm, there's fresh energy and new faces in the program, and seeing how they all coalesce will be fun to watch. One of the most exciting of those new faces is Jared Ridder, the pride of Kickapoo High School. In high school, Ridder was named Mr. Show-Me Basketball in 2017. After starting his career at Xavier, he left the program in September 2017 and transferred back home to Missouri State. As the Bears see it, there’s no reason JQH Arena can’t be rocking every home game—they've posted a stellar home record so far in Ford's first season. When it does get loud and rowdy, there aren’t a lot of other places in 417-land we’d rather be. Local movie-lovers and film aficionados who pine for access to thought-provoking film fests can get their fix at Rated SGF Film Festival. The festival “celebrates films and artists that challenge our assumptions” and that blur the line between the audience and the storyteller. Last year’s event gave 417-landers access to Saturday Church actor Luka Kain, A Ghost Story director David Lowery, screenings of both those films and local short films—plus workshops and parties to boot. 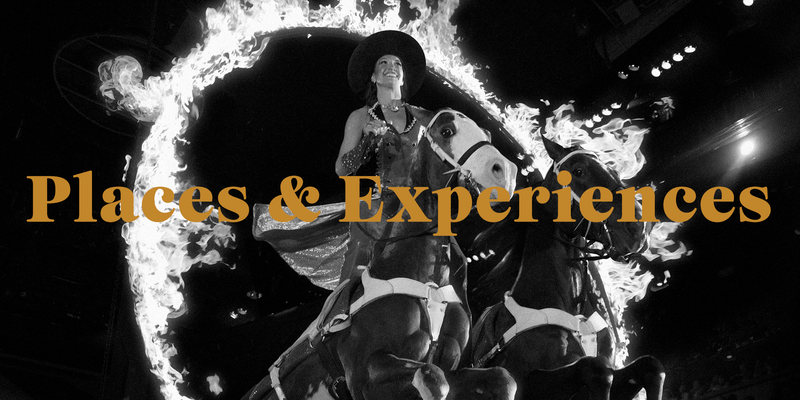 It was an immersive and impressive experience. The second annual event happens this year on March 22 and 23, and we can’t wait! Springfield-Greene County Park Board The Track Family Fun Parks Dolly Parton's Stampede National Tiger Sanctuary Wonders of Wildlife Chateau Grille Discovery Center Silver Dollar City Big Cedar Lodge Mother's Brewing Company Andy B's Entertainment Center Gillioz Theatre Lindberg's Tavern Incredible Pizza Co.